There is power in our words and our stories. Our words can tear down and destroy, or they can impart grace and hope to support all who hear them. We have a choice of which kinds of words to use and which kinds of stories to tell as we speak with to our spouses, children, colleagues, and strangers. Destructive language can damage lives. Grace-filled language can transform lives for the good. 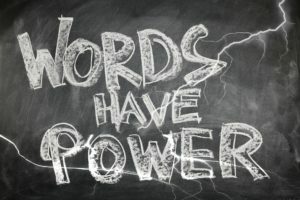 How can we use the power of words wisely? Rev. Joan Van Becelaere is a UUA Congregational Life Consultant and the new Executive Director/Administrator of UU Justice Ohio. Prior to working with the UUA, she was the vice-president for student services at the Iliff School of Theology in Denver, CO, where she also taught UU polity to seminarians. She lives in Columbus, Ohio, with her spouse, Jerry, and two felines (Hezekiah and Zachariah).